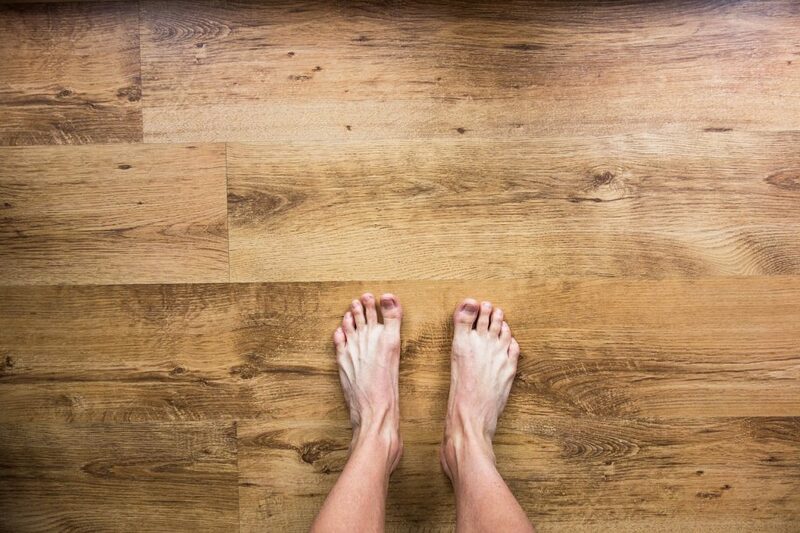 Underfloor radiant heating is still not as widespread as other heating options, but has it tons of benefits that should be considered. Radiant heating works by circulating heat from underneath the floor through an electrical or hot water system. Not only does this heating method ensure that your floors are at a comfortable temperature at all times, but it is also much more efficient for many reasons. Let’s take a look at why radiant heat is one of the best heating options you can find. Like we said earlier, one of the major benefits of radiant heat is the added comfort it offers. No more waking up in the morning to cold floors and no need for your forced air system to heat the entire room before the floors get warm. Also, radiant heat systems will distribute heat much more evenly than a forced air system. Hot air naturally goes up. With a forced air system, the air has to move up to the ceiling and dissipate, which leads to energy loss. On the other hand, radiant heat allows hot air to move up uniformly across the floor, heating up the whole room from the floor up, allowing for less loss and less demand on your furnace system. Forced air systems can be the reason behind many allergy symptoms. Your air duct system may start filling up with all sorts of debris, pollen, and dust that will be recirculated across the room. But with radiant heat, there’s no need for any fan and no allergens will be dispersed. So, this is a great choice if you value your home’s air quality. Which Radiant Flooring Heating Option Should I Choose? There are two main types of radiant heat systems you can find on the market: electric and hydronic. With an electric system, heat is distributed through electric cables under the floor. While it will cost less to install on average, operation costs will be higher in the long run. These are usually suited for smaller rooms like kitchens and bathrooms. Hydronic radiant heat, on the other hand, uses a system of underfloor piping to circulate hot water through the system and disperse heat that way. These systems are a little bit more complicated and installation costs are a bit higher, but they cost much less to operate. They’re also a good option for the entire house, no matter the size of the room. If you would like to know more about the benefits of hydronic radiant heat systems, a company like Covenant Plumbing LLC could help. They’ve been in the business for many years and will be able to tell you if it’s the best solution for you. Now that you know more about radiant heat and how it could be a better option for improving your home. We suggest you start looking more in depth into radiant heat systems and talk with an expert. Switching to radiant heat could be a great investment for the future and could improve your life quality instantly.